We often look to J.Crew for seasonal essentials that'll last a lifetime, but they aren't just a grown-up staple-store anymore. Mixed into their classic pieces are statement-makers and trendy separates that we can get enough of. 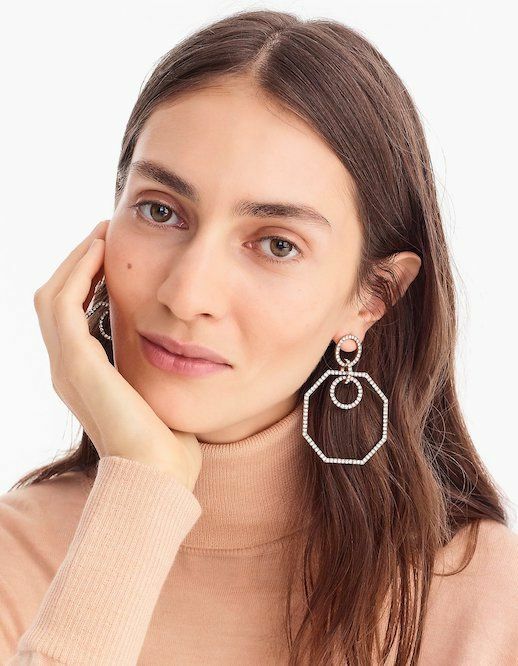 If you haven't looked lately, they have the best statement earrings right now. From pink dangling ones, to gold circle drops, shop these amazing picks.